Fresh Mango provide a computer repair service for all makes and brands of PCs, computers, laptops, Macs and servers. We also provide diagnostic, upgrade and health-checks for all types of laptops, desktop PCs and servers. 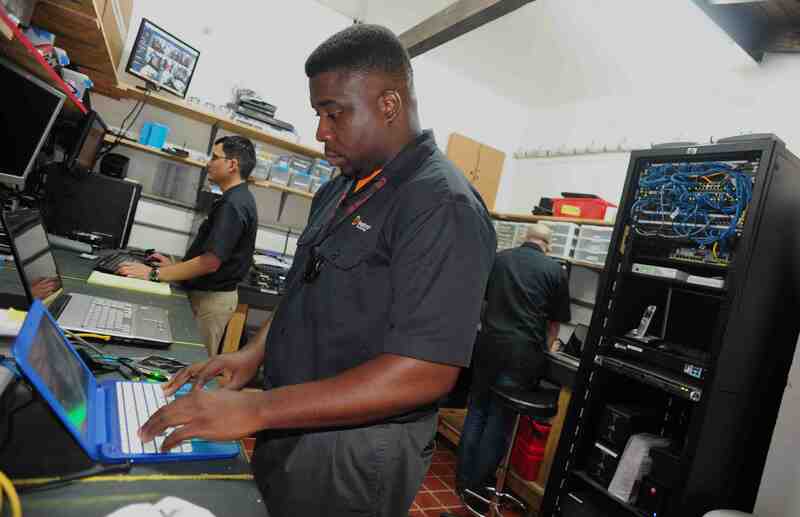 Our superbly- equipped computer repair centre is purpose built for this service, and incorporates multiple repair bays, test equipment, parts and accessories. We can repair all manner of problem computers from something as simple as a missing key to rescuing a system that has taken a spill (or been spilt on!). If you are considering an upgrade or replacing missing or damaged parts, we also carry a stock of common accessories including hard drives, memory, fans, power supplies, cables and more. If your requirement is for something specific, you can see if we have it in stock via our online store. If we don’t, no problem! We will order the item you need from one of our preferred suppliers and have it for you as soon as possible. We also provide a manufacturer’s warranty for all new equipment we sell. If you’re unsure whether the time is right to upgrade or replace your current PC, Laptop or Macintosh, please feel free to talk to us, we’re happy to talk computers all day long! Seriously, we will provide unbiased advice on the most cost-effective solution for you or your business. We’ll ask questions like what you use your computer for, how often you use it and so on. Based on your business and lifestyle requirements we can provide a recommendation accordingly. It may be that a simple computer repair can be effected and that’s all you need; it may be that the cost of repair is uneconomical so it’s time to buy a new computer. Or it may be that a memory upgrade will be enough to meet your requirements. Whatever the outcome, we’ll provide you with our best advice for the way forward. Contact Fresh Mango today and we’ll be happy to help. Why Choose us for your website?